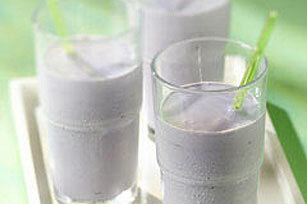 Our Healthy Living Grape Milk Shake is made with sugar free drink mix and fat-free milk and ice cream. Still delicious! Place drink mix in blender container. Add milk and ice cream; cover. Prepare as directed, using your favorite flavor of KOOL-AID Sugar Free Drink Mix.